Bernice H. Love, age 96 of Lancaster, PA., passed away Sunday, September 4, 2011 at Calvary Fellowship Homes in Lancaster, PA. On March 7, 1915 in Loudonville, Ohio, Mrs. Love was born to the late Glenn G. and Minnie P. (Witt) Humphrey. 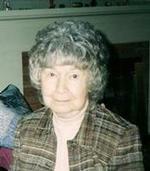 She had been a resident of Ashland County most of her life. Formerly Mrs. Love had been a secretary at Hess & Clark Co. She was a member of the First United Methodist Church of Ashland and enjoyed spending time with her family. On April 3, 1936, Mrs. Love married William B. Love who preceded her in death August 1, 1997. She is survived by a daughter, Julie Raleigh of Reynoldsburg, OH. ; five grandchildren: Tahnya, wife of Bruce Lambie of Lancaster, PA., Randy Raleigh of Columbus, OH., Tahsha, wife of George Harmon of Dublin, OH., Mark, husband of Heather Raleigh of Gahanna, OH., and Tierah, wife of Robert O'Brien of Reynoldsburg, OH. ; sister-in-law, Ann Humphrey of Ashland, OH., two nieces, Stephanie Humphrey of Ashland, OH., and Dr. Kathleen B. Humphrey of New Mexico; ten great-grandchildren; and four great-great-grandchildren. Mrs. Love was also preceded in death by an infant son, and three brothers: Lawrence G., Dr. Stanley P., and Wayne E. Humphrey. A private family service will be held at Heyl Funeral Home, 227 Broad St., Ashland, OH., with Pastor Dan Bilkert officiating. Interment will be at Ashland Cemetery. The family suggests memorial contributions may be made to Hospice of Lancaster County, 685 Good Dr., P.O. Box 4125, Lancaster, PA. 17604-4125.